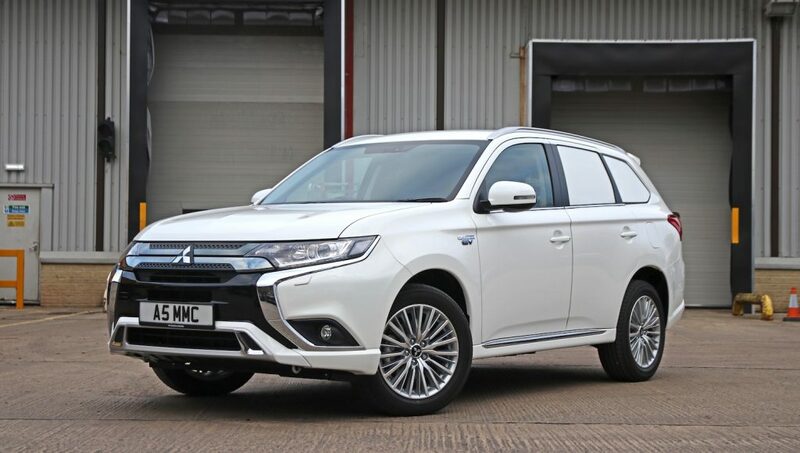 The 2019 Mitsubishi Outlander PHEV is now available as a commercial vehicle, offering businesses the benefits of an ultra-low emission vehicle for deliveries in urban ULEV zones as well as the ability to cover long distances when required and minimise down time associated with seeking out charge points and recharging during the day. The Mitsubishi Outlander PHEV also has a WLTP fuel economy combined cycle figure of 139mpg (159mpg NEDC), a WLTP EV range of 28 miles (33 miles NEDC) and CO2 emissions of just 46g/km (40g/km NEDC). The Mitsubishi Outlander PHEV Commercial offers the same 4WD solution as the passenger car. An electric motor on each axle means that even in EV mode, the Outlander PHEV remains a true 4WD at all times and a simple button allows the driver to select between normal, snow and lock modes to optimise the 4WD experience and staying mobile in all conditions. The new Mitsubishi Outlander PHEV Juro Commercial benefits from the same extensive revisions as the rest of the 2019 Outlander PHEV passenger car range. These revisions include a new 135hp 2.4-litre “Atkinson” cycle petrol engine and enhanced EV powertrain for improved performance and efficiency, a smoother and quieter ride plus sharper handling thanks to new shock absorbers, a quicker steering rack and a revised S-AWC vehicle dynamics system. The 2019 Mitsubishi Outlander PHEV Juro Commercial is available to order now.